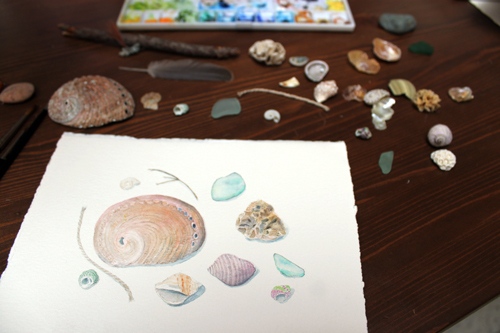 You can see that my shell painting has evolved and my painting table is covered with natural relics. I quite like the idea of living in a natural history museum. It suits me. This is the kind of painting that I just love doing. The composition just evolves. I started with three shells and then just kept adding elements. The key is knowing when to stop and I'm almost there. Just a bit of detail and shading to go. These are from the beautiful seashell and sea glass collection that Cindy sent me from Australia. 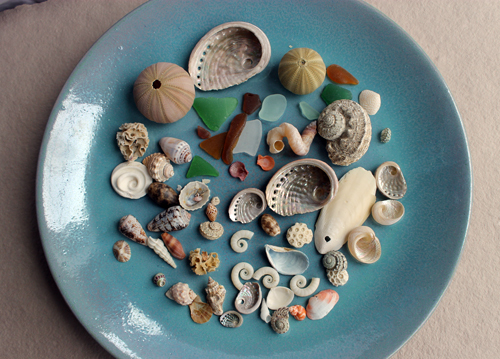 Tiny, amazing treasures. Don't forget that you have until Friday to enter my giveaway for the little 'Snowball' original ACEO. You can enter here. So pretty!! I'd recognise them anywhere. Your painting is exactly like them, you've really captured their essence. Made the briefest of visits to the shore on the weekend - it's way too hot to venture onto the sand without shoes - your feet would be burnt to a crisp in seconds. When a cool change (ha!) and low tide coincide I'll pop down to see what the tide's left behind. 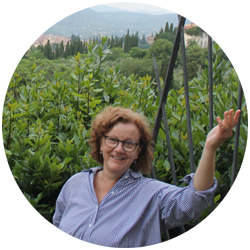 Dear Kathleen - what a wonderful subject and your eye for detail is super. Love the way you let it evolve. Thanks for sharing.